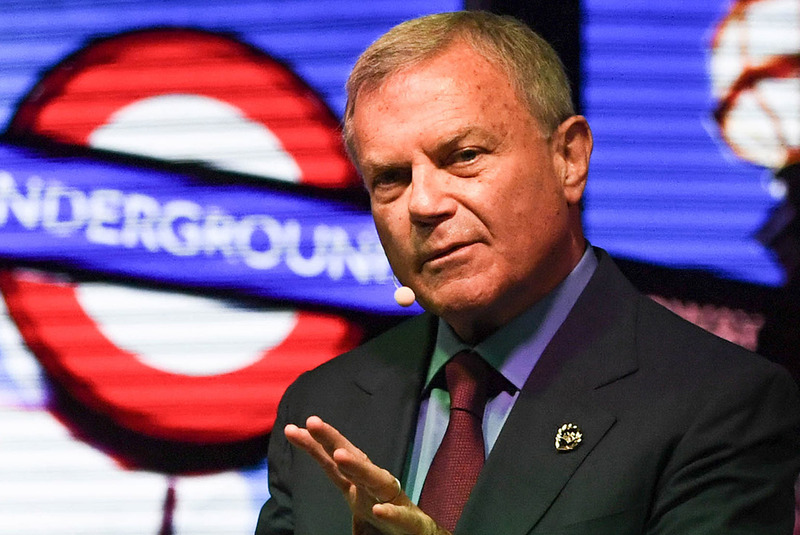 The full transscript is available on businessinsider.com. The 100 guests who joined the award ceremony experienced unique perspectives on the life and work of the awardee, who attended the event together with his wife MacKenzie. The Award is given to outstanding personalities who are particularly innovative, and who generate and change markets, influence culture and at the same time face up to their responsibility to society. 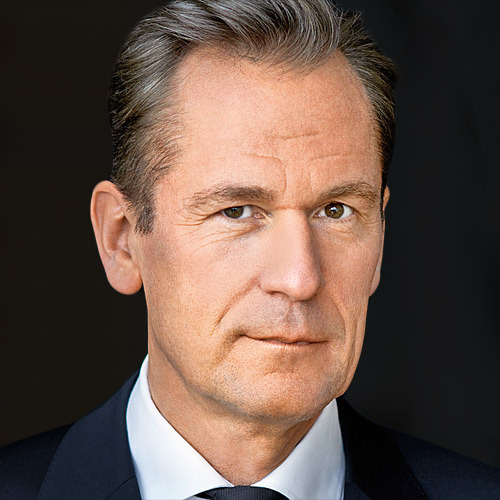 The winner is selected by the executive board of Axel Springer SE, following suggestions by employees. The prize recognizes what has been achieved and encourages going forward. 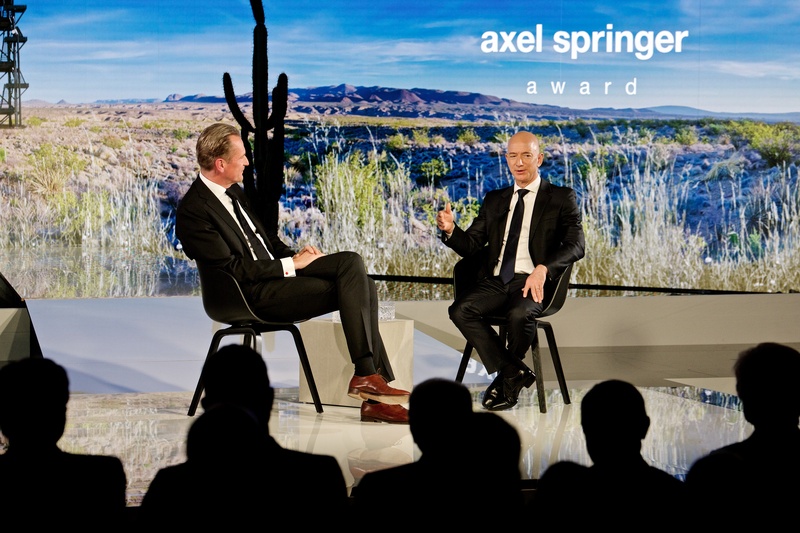 The Axel Springer Award is a prestige prize without prize money. 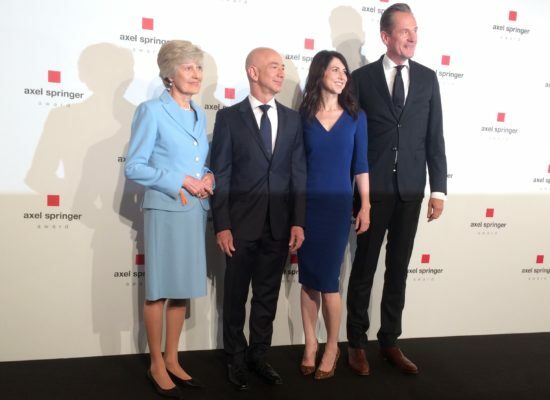 Under the motto “An Evening for Jeff Bezos”, the Axel Springer Award was handed over on April 24, 2018 at a festive evening ceremony at the Axel Springer Journalists’ Club in Berlin. 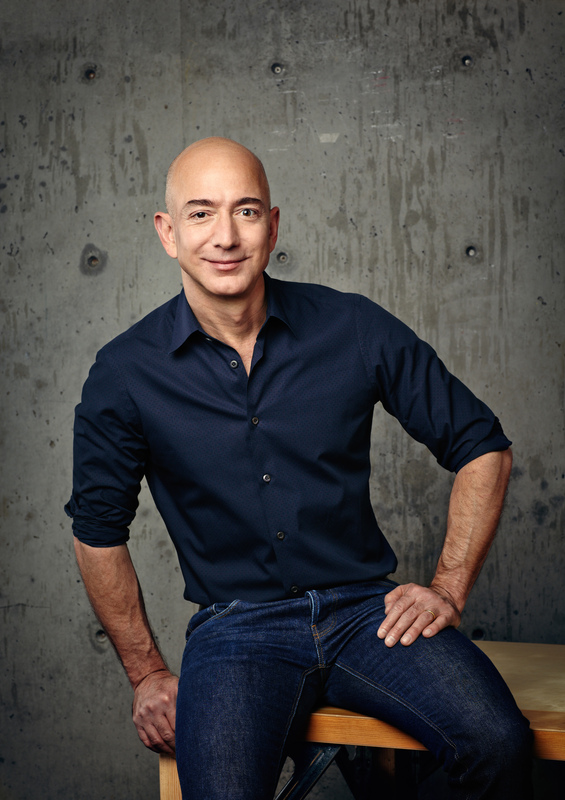 Jeff Bezos was born in Albuquerque, New Mexico, USA. 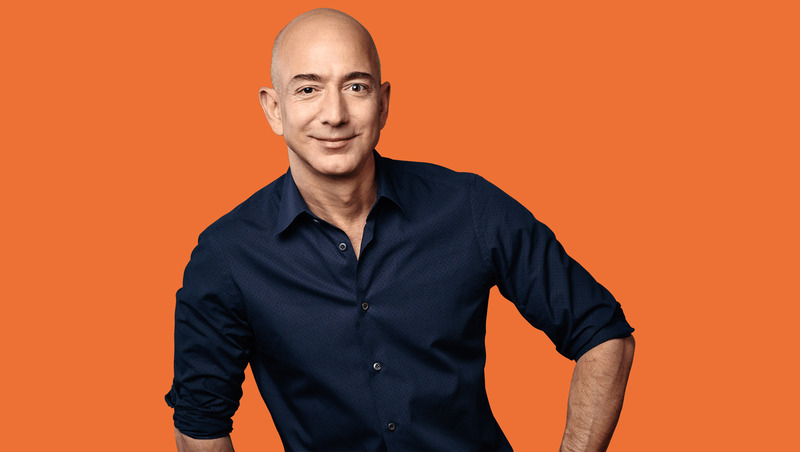 After graduating from Princeton University in Electrical Engineering and Computer Science, Bezos joined a high-tech start-up and later worked at New York asset management companies Bankers Trust Company and D. E. Shaw & Co. Foreseeing the Internet’s capacity for e-commerce, he developed the idea of a bookselling business on the Internet. He made this reality in 1994 when he set up Amazon. 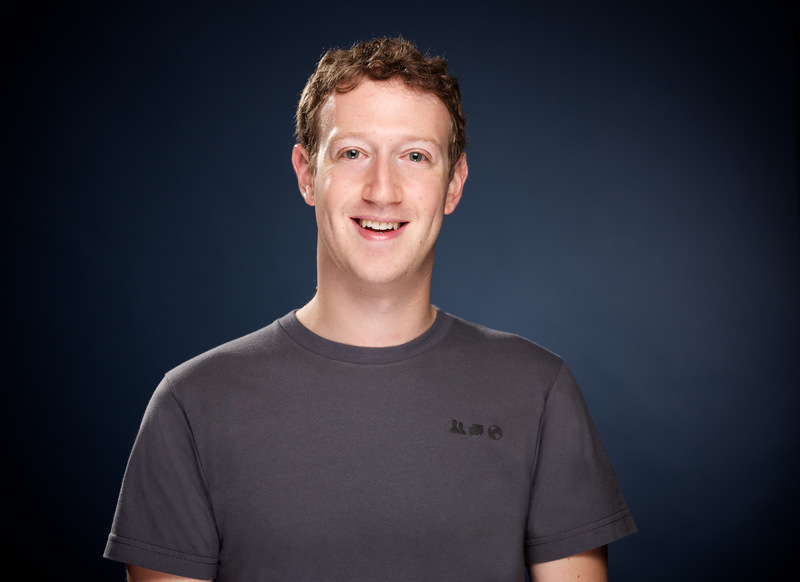 This was followed by an unparalleled career during which he transferred the original online bookstore to a global retailer, a marketplace and cloud computing provider. With the voice-controlled personal assistant Amazon Echo, he made a decisive contribution towards developing the Internet of Things. 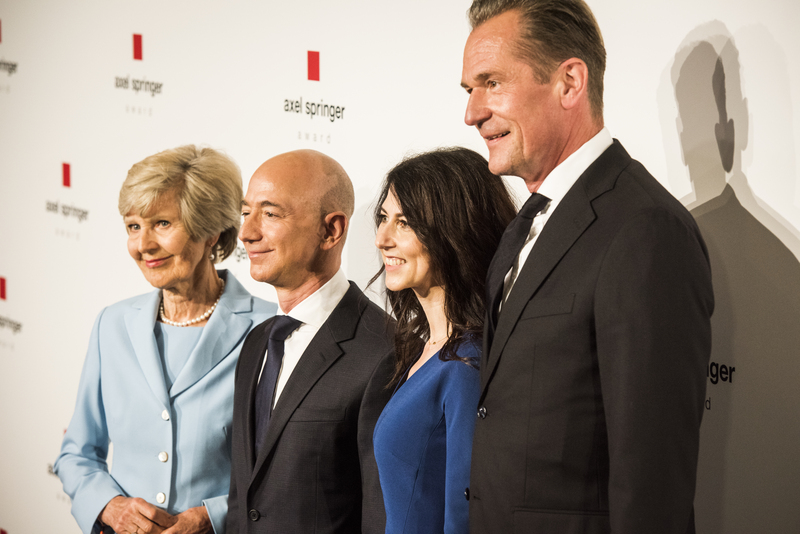 The Amazon CEO is distinguished by his diverse economic engagement. 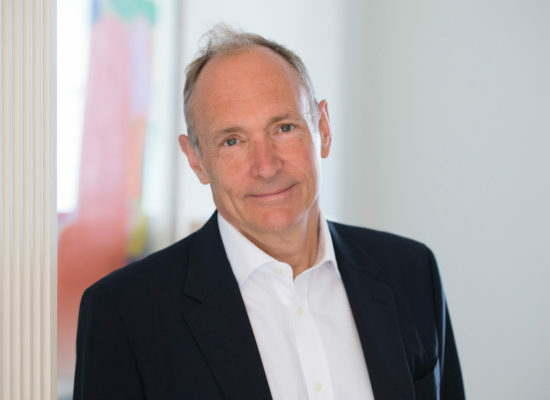 Since 2013, he has owned the traditional US newspaper “The Washington Post”. 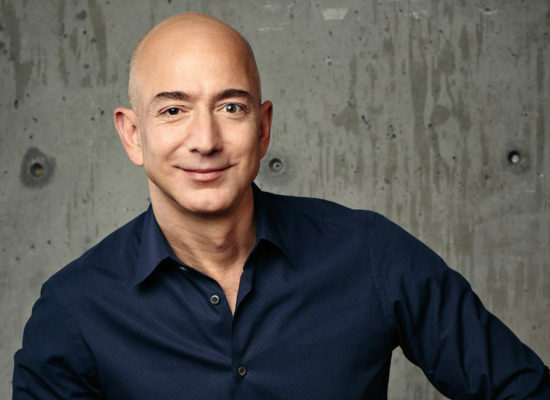 Jeff Bezos is a self-proclaimed fan of Star Trek and founder of the space travel company Blue Origin, which seeks to lower the cost of spaceflight and enable a future where millions of people live and work in space. In January 2018, Jeff and MacKenzie Bezos donated a $33 million dollar scholarship grant for undocumented immigrants who were brought to the US as children, giving 1,000 immigrant graduates of US high schools the opportunity to go to college. 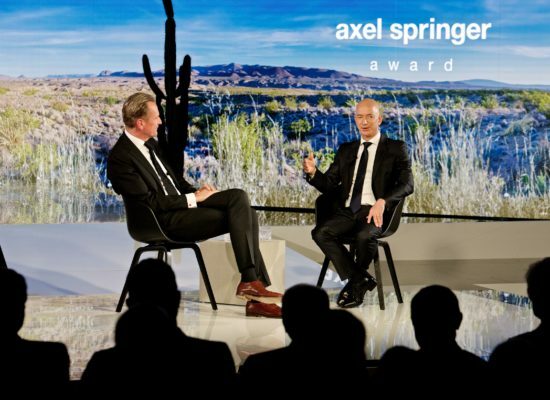 “An Evening for Jeff Bezos”: Amazon founder receives the Axel Springer Award 2018 in Berlin / Mathias Döpfner: “We want to encourage young people to think big”.